Slated for launch this year, the new phone covers it all with an OLED display that covers the entire front. So making that happen actually, Apple is removing the iconic home button/Touch ID sensor. Well, lets explore what will replace it?? Nobody besides the folks at Apple really knows, but this new and gorgeous new iPhone charts the incredible features and opportunities. Like the MacBook Pro’s Touch Bar, the “function area” would depict different buttons for the apps that opens up on the iPhone screen. 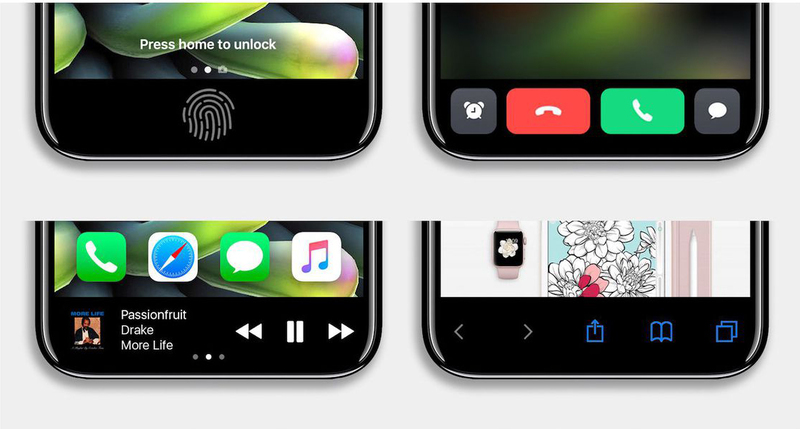 For instance, it could show a virtual home button whenever the phone’s locked, accept/decline buttons for the phone app, playback controls for music/video apps, and more. 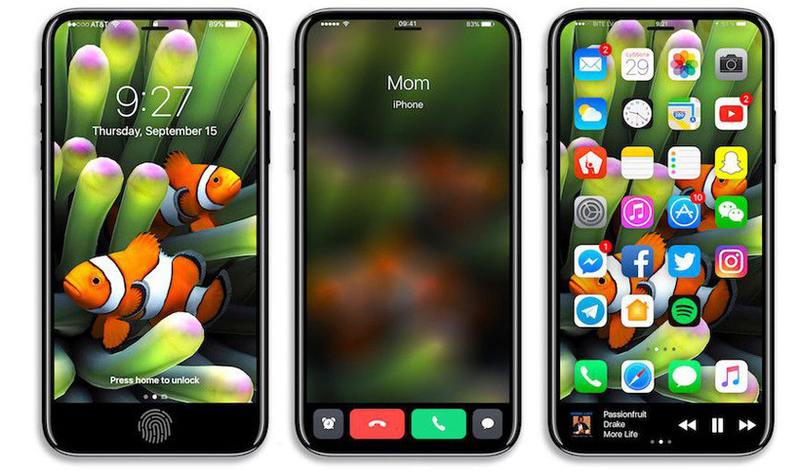 Hence, with this inbuilt concept, menu bars that normally takes up an area above the home button will instead use now full screen for executing the functions. On the other hand, Photo editing features like the crop/rotation tool could benefit from it, too. Contrary to a recent report, we aren’t expecting Apple to announce the iPhone 8 at next month’s WWDC. Aside from the new display, it’s also been narrated that the phone will come with a dual camera system on the back, but it’ll be vertically aligned instead of horizontally like on the iPhone 7 Plus. One obvious reason for this alignment modification to make the device highly compatible with AR/VR Headset.. So, charge your iPhone with a wireless charging mechanism and get a new submersible world that this beautifully designed product caters. In order to encompass the above feature Apple is switching from aluminum to a glass back and stainless steel frame so as to ensure its maximum efficiency. Well, if you are a go-getter, needs something new and embellished, want to experience the next level of world and obviously if you are a music lover so this device truly stands with you. So, get reserved with its unfolding and unparalleled experience that it truly delivers. Sakshi is Tech Journalist and Enthusiastic Jogger. When she isn't busy with tech things you can find her sipping coffee OR dribbling at the basketball court. Ok, You Got A Million Dollar App Idea, So What’s Next? WhatsApp P2P Payment – Is It the Beginning of an Era? Copyright © 2019, Octal IT Solution. All rights reserved. 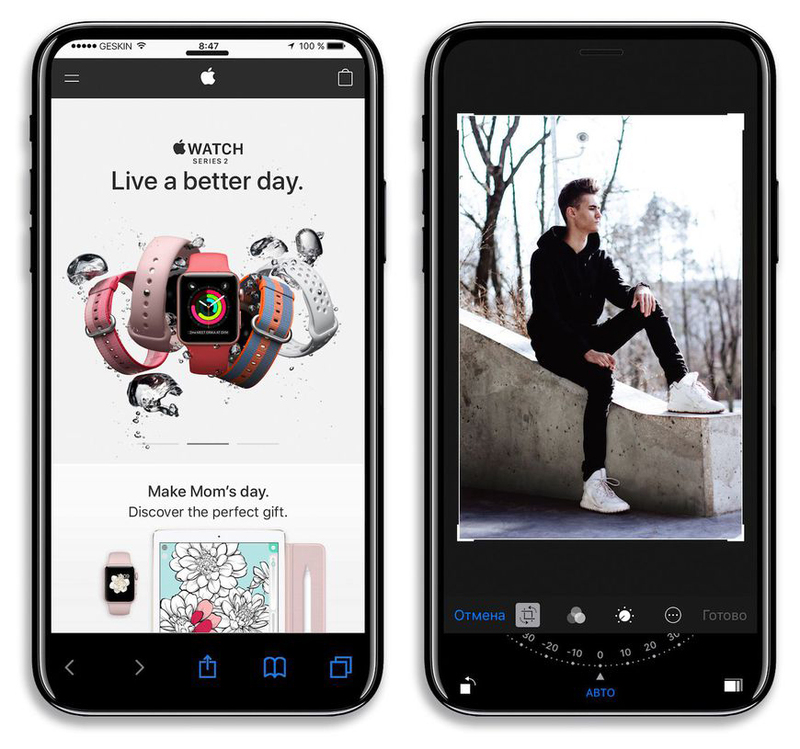 Can in-app video ads help in increasing revenue for your mobile app? Would GoLang be a good choice as a programming language for your business? How Mobile Solutions Are Transforming The Construction Industry? How much does it cost to create a Library Management System? How the IoT can make an impact on the App development process?